A question I am often asked by my clients is “How do I stop my dog from chewing on things?” It is a problem lots of dogs have, but you have to keep in mind that Chewing is a normal behavior for them. For a lot of dogs chewing is like therapy or a pacifier. It’s also a tool for them to stay healthy by cleaning their teeth and gums. Best of all, chewing on ‘appropriate’ objects will keep your dog occupied and happy. 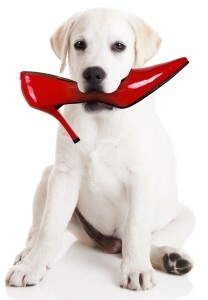 Don’t want the dog chewing on your new Prada shoes? Then don’t confuse him. 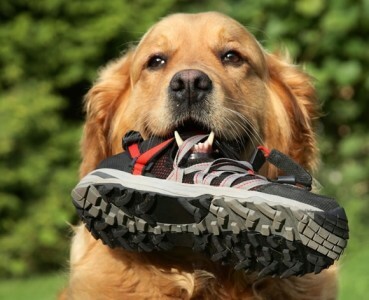 Never give your dog personal items like an old shoe or socks to chew on unless you are willing to have the new shoes or new socks chewed on as well. He is not able to distinguish between them and doesn’t understand he is doing anything wrong. If you have children in your home make sure their toys and your dog’s toys are kept separate and are not too similar. Children’s toys should always be picked up when unattended. 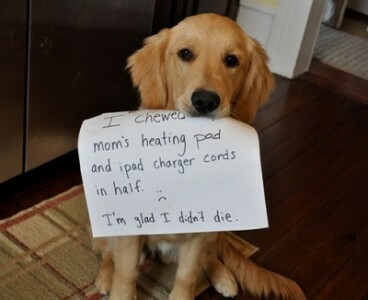 Not only to protect the toys, but they could be dangerous for your dog if he chews on them as well. 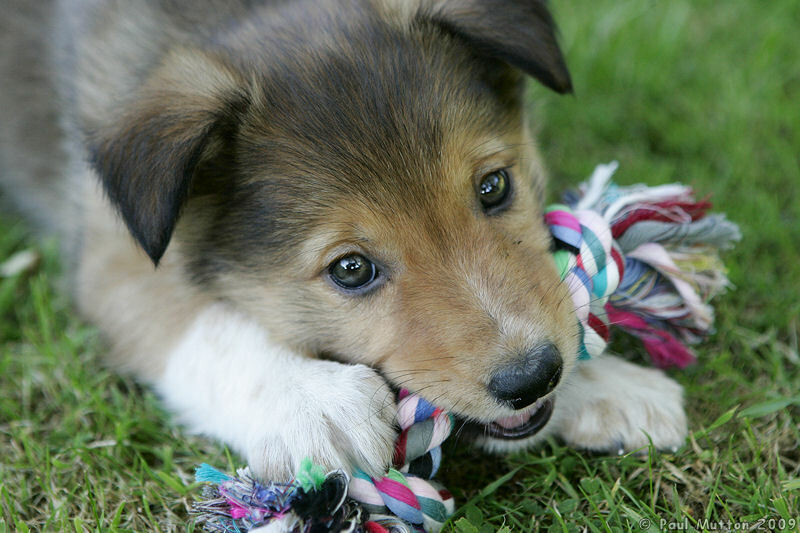 When preparing for a new dog, it is important to provide a variety of different things to chew on. Have some hard chew bones like natural marrow bones or synthetic ones like “nylabones”. These are Bliss’s favorite! You should also have some softer toys that a dog may sink his teeth into like a stuffed animal or a rope toy. Best of all are interactive toys like a “Kong” that you stuff with your dog’s treats. Everyone loves these! 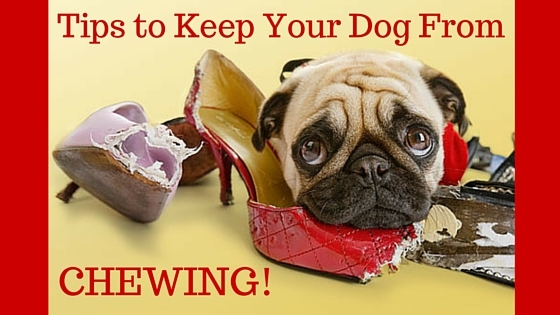 Unfortunately, providing the right things to chew on may not be enough to deter our dogs from chewing on other things. We usually divide chewing into 3 different groups. 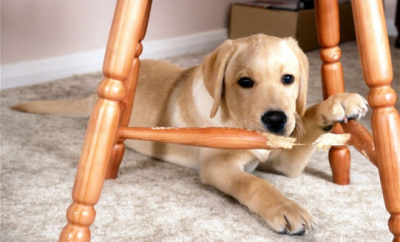 Some dogs like chewing on furniture or walls, things you can’t move out of your puppy’s reach. Obviously, the first thing to do is not allow the dog near the object or room in which he is chewing the object without supervision. This means you may need puppy gates to block off certain areas of your home. 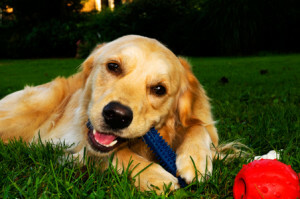 When you are in these areas, accompany your pup and reward the dog for the correct behaviors. I like to keep them on a leash at first so I can see their every move. If the puppy approaches, let’s say the couch, and doesn’t try to chewing on it I say “good dog” and maybe even give him a treat or provide one of those fabulous things we mentioned above to chew on. From this, our pups learn that they can be in the same room and behave appropriately. Once you are able to trust your dog won’t chew on these things he can earn a little more freedom. Perhaps he can lay in the Living Room while you can still see him from the kitchen. However, until you are completely confident that the behavior has stopped, you will need to continue with supervision before he can just hang out in any room of your home. Dogs like chewing on pretty much whatever is laying around. In this case, the very WORST thing you can do is to chase after the dog since this will turn into a super fun game for them. Instead, try some of these other techniques. A lot of dogs tend to grab inappropriate objects as a way of getting attention. When we ignore them instead of chasing after them, the object is not fun anymore and they will drop it. Try grabbing one of your dog’s toys and playing with it yourself. Start throwing it in the air and pretending it’s very special and a fun game. When your dog comes over thinking “hey, this sock is not that fun, mine is not squealing!! !”, continue to play and ignore the dog a bit until you see him release whatever is in his mouth and then allow him to play with the toy while you get rid of the inappropriate object. This method should only be used when the object in the dog’s mouth is either very special to you or harmful to the dog. Let’s say your $500 designer shoes or a box of rat poison. Try exchanging the object for something better. For example, you give your dog a nice piece of ham and he gives you the shoe. This is the topic I will discuss in Part 2. Remember, Chewing is normal for your dog. Whether he is anxious or just bored, you can guide him to the behavior you desire. Try these tips, but keep in mind that all dogs are different. If these techniques are not working for you then please give me a call to get a personalized analysis of your situation.